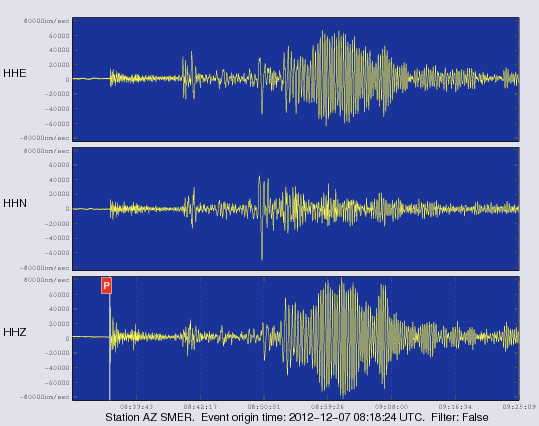 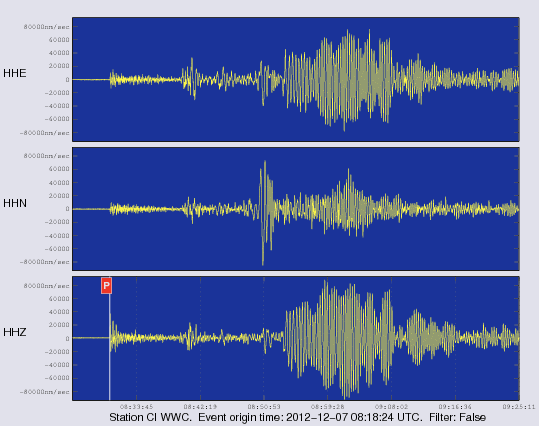 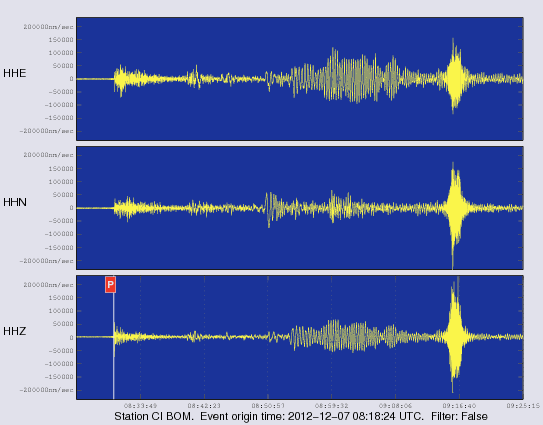 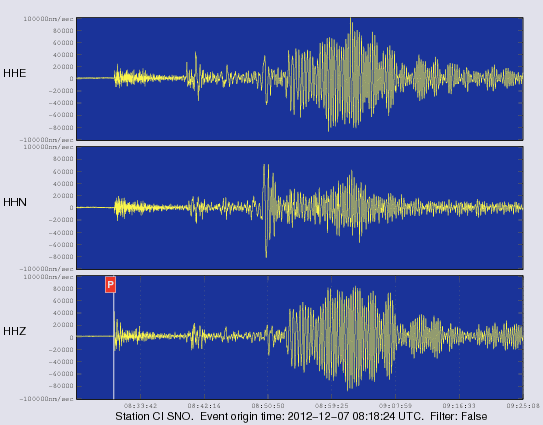 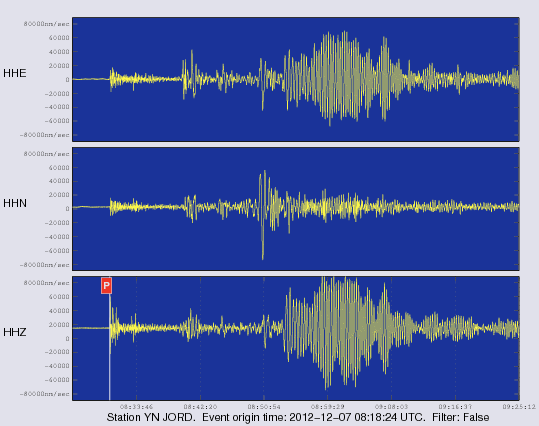 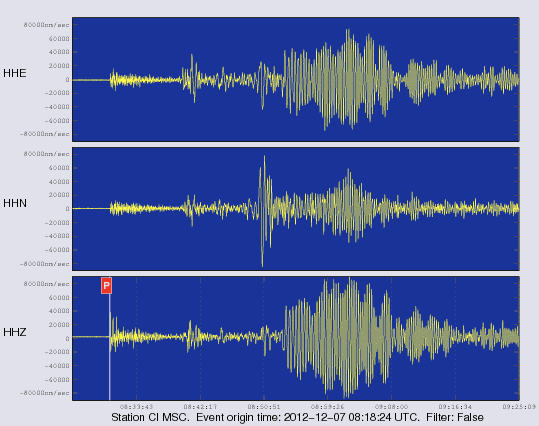 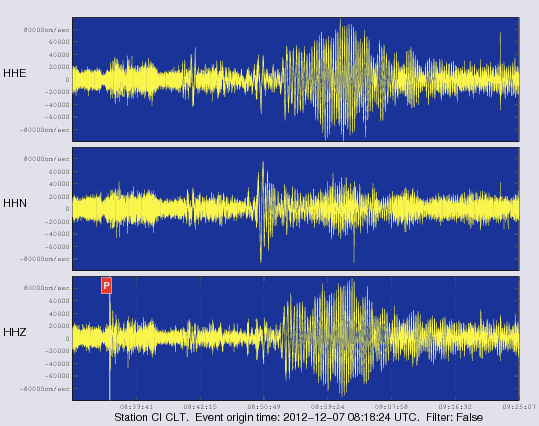 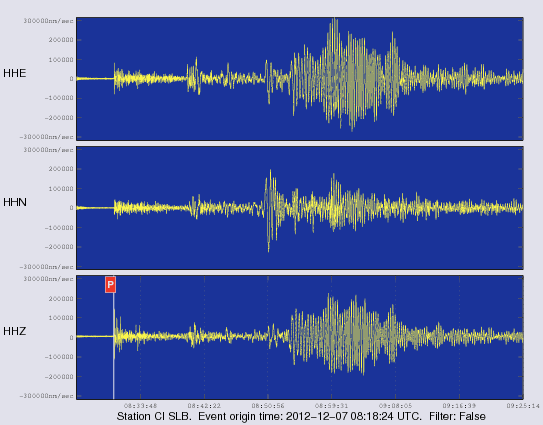 On Friday December 7 2012 at 12:18 AM (PST) we recorded an earthquake (preliminary M 7.3) located east of Honshu, Japan. Initial source parameters for this tremor are indicated below. The epicentral distance (i.e. the distance separating the epicenter and the closest station in the recording network) for Anza is 8357 km (75.16 degrees). We operate a broadband station on Mt. Soledad. 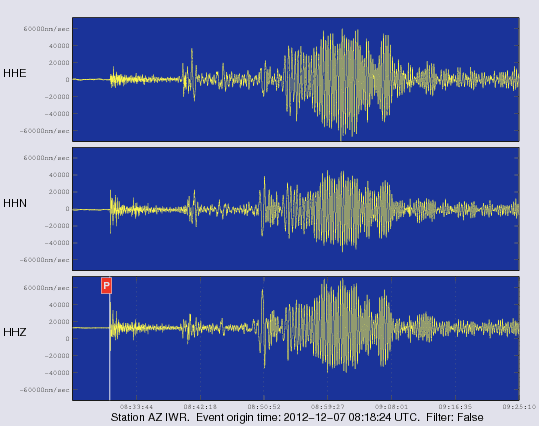 At 00:30 (PST) station SOL recorded the P wave from this event. Here is a view of that event as picked by our analyst. A red P indicates a P wave arrival, a red S indicates an S wave arrival. CNN: "Major quake strikes off Japan, setting off small tsunami"
Associated Press: "Tsunami warning lifted for strong Japan earthquake "